Marisol Arteaga is a reflection of her own work. She lives and breathes her collection in a way that allows all the effort that she puts in look almost effortless. As a woman of color, having grown up primarily in Santa Cruz, California, Arteaga started her label after she packed up and left—ready to start a new life in New York City. A graduate from UC Berkeley, Arteaga, who is such a kind-hearted soul, is not just a fashion designer, but a lover of art and culture. Arteaga’s eponymous label, which was adopted from her last name, stands at the forefront of culture. 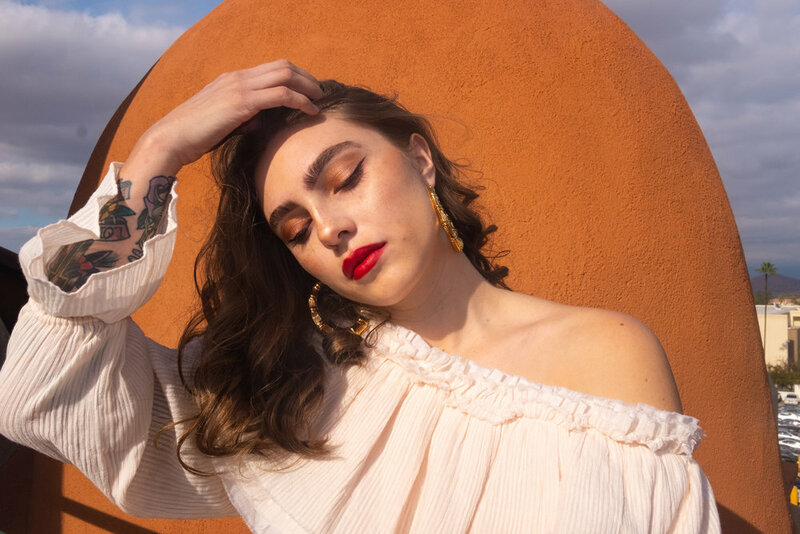 While diversity is a struggle in the fashion industry, Arteaga is battling that with her own background as Mexican-American woman, and her love for India after meeting her husband there. But, it wasn’t just all slow fashion resort wear for Arteaga. Growing up, she had always loved music. In college she started a small independent record label. Arteaga’s spirit shone through, she always had a niche for being the entrepreneurial spirit. She always seemed to make her own clothes—which is where her love for fashion takes place. Arteaga grew up in a family that shared the same ethics incorporated into her line. As she describes, “a family whose occupations were a direct reflection of their politics and beliefs.” It's no wonder Arteaga takes sustainability seriously. She believes having beautiful, great quality pieces go a long way compared to fast-fashion piece that barely keeps up a year after wearing. Fashion is the second most polluted industry in the world. Most of your clothes from fast fashion stores are made out of cotton. For one cotton t-shirt. It takes up to 700 gallons of water to make. That’s a lot of water waste. She was just starting to work on her label in 2016, but officially launched her first collection in 2017. The Chandra Dress is perfect for anywhere from a night out on the town to somewhere warm and tropical. The dress is made out out of three different layers consisting of cottons, a stripped dobby, Swiss dots, and muslin. The Disa Jacket, paired with the Disa skirt is definitely going to brighten your colleagues’ day at the office this summer. The setis made from a one-of-a-kind, exclusive fabric that is woven with a traditional loom in France. Each of the colors have been carefully chosen from Arteaga’s palette to make the perfect plaid for warm weather. Not only are her fabrics sources in other countries, but her pieces are inspired by traditional wear. Her Kira top, in the spring collection is similar to the drape of a sari. Arteaga Disa Jacket and Skirt. When she visits, she sources her fabrics and has certain pieces made in India. It was there that she also met Fiona Wright, who works at The Stitching Project, her studio is in Pushkar, Rajasthan. Fiona trains local village people to sew, embroider, and do traditional block printing. Fiona is in the process currently to give the village a library for access to books. When Arteaga isn’t traveling or coming up with a new collection you can find her spending her free time at museums, art galleries, or taking her dog on long walks in the city. Arteaga’s Spring 2018 line can be purchased at ABC Carpet and Home and can also be found at Garmentory.com.